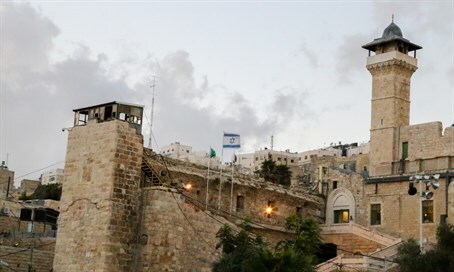 Security forces apprehend female terrorist with a knife at Cave of the Patriarchs. Security forces apprehended a female Palestinian Arab terrorist in Hevron Tuesday, after she approached Border Police officers wielding a knife at the Cave of the Patriarchs. Border Police neutralized her with tear gas at the scene, and them took her into custody. During an initial interrogation, she admitted to wanting to become a "martyr."